Ah yes! I love wood and I collect balls. So when I see furniture that combines the two with a contemporary and creative twist, I take notice. 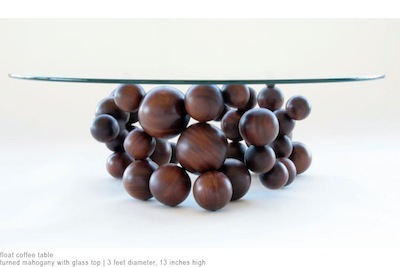 Check out this stunning coffee table by Liz Boscacci. She wanted to learn how o use a lathe to turn wood. 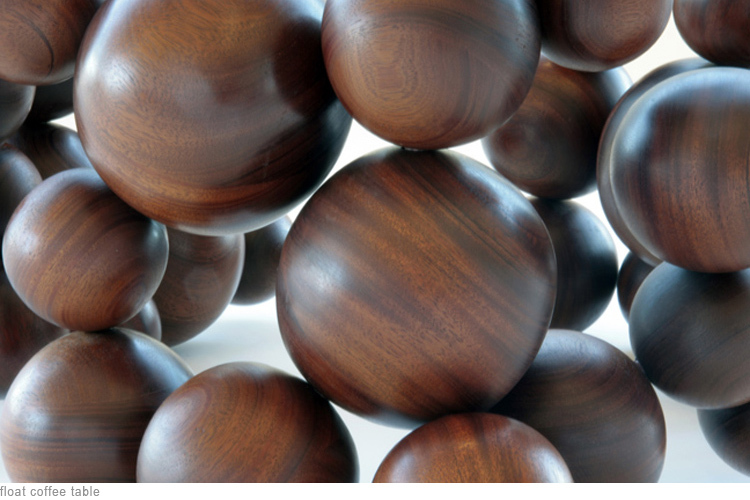 Each ball was created separately and then she joined them together by hand. The base is made of turned mahogany balls. This detail shows the beauty of the wood. Definitely impossible to keep dust free though!